Country Club India Events: Country Club Kool To Host A Karaoke Night! Are You Singing? Country Club Kool To Host A Karaoke Night! Are You Singing? Lata Mangeshkar might earn thousands for singing like a nightingale but we want you to come out and sign this Wednesday night even if all you can do is croak like toads. After all, the monsoons are still around. Country Club India’s Karaoke Nights are meant to bring to all kinds of music lovers together. What’s more, it also brings together all kinds of singers. So if you are tired of showing off your singing talent in the bathroom alone then head out to Country Club Kool Andheri and participate in our Karaoke Night. Country Club Vacation knows very well that some times having fun doesn’t always mean getting out of the city, it could also mean getting out of your comfort zone and singing to your heart’s content. Thus, Country Club Vacation India is keen on making not just your holidays memorable but you day-to-day life as well. 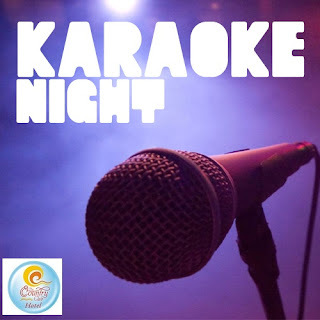 The Country Club Kool in Andheri will be prepped and ready for the Karaoke singers for the night and we’ll be serving food and drinks to keep you rejuvenated through the evening. The entry for Country Club members is absolutely free of cost. You can also bring friends at a nominal cost of Rs. 50 per head. Be sure to bring as many friends as you can because no Karaoke Night is a success without the company of family, loved ones and friends. For information on the event call 022- 6698202/03/04/05/06/07/078/09, also, the food and beverages at the venue will be charged as applicable.